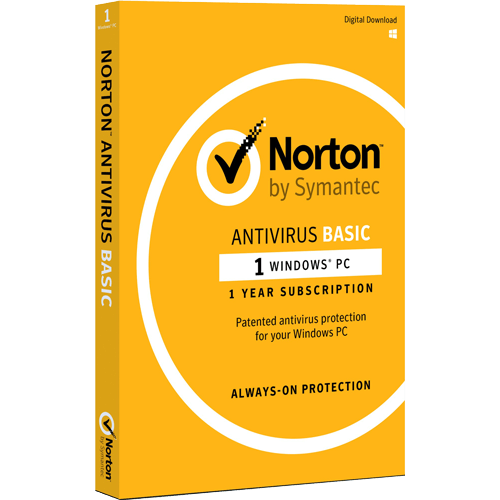 Very Cheap Software is proud to offer Norton AntiVirus (1 Year / 1 PC) [Download] at a very affordable price. We only select the best software available for download. We focus mainly on very cheap antivirus software to help you protect your important information and privacy from criminals. Check with us every year for very big savings. Norton™ AntiVirus' five patented layers of protection and powerful cloud features eliminate viruses and spyware, so you can go online and share safely. Norton™ AntiVirus uses our five patented layers of protection to quickly detect and eliminate viruses and spyware, so you can go online and freely share, knowing you're protected. Advanced reputation and behavior antivirus technology scans all files you download for viruses and eliminates them. It even protects from new viruses that haven't been invented yet. Plus, a powerful threat-removal layer gets rid of hard-to-remove infections. 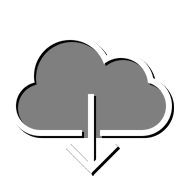 Cloud-based Norton Management lets you fix, update, renew, and install Norton™ AntiVirus on additional PCs over the Internet. You can also bring together your Norton™ protection for other devices in one place for straightforward solutions that protect you on your various devices. Five patented layers of protection and advanced reputation and behavior antivirus technology quickly find and eliminate viruses and spyware. Improved SONAR technology and live 24/7 threat monitoring watch your PC for suspicious behavior, to quickly identify and protect you from threats hackers haven't even invented yet. Scans all files you download for viruses and spyware and removes them. Powerful threat-removal layer targets and gets rid of aggressive, hard-to-remove infections that less sophisticated products often miss. Stops online threats before they can reach your computer. Browser protection blocks unsafe websites that secretly download software that could be used to steal your personal information or take over your PC and use it to send email spam. Superior performance delivers fast scanning. Intelligent detection and quiet background operation won't annoy you with lots of pop-up warnings or requests to restart. Scans and runs updates only when you're not using your computer. 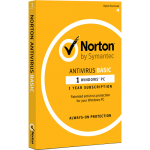 Lets you fix, update, renew, and install Norton AntiVirus on additional PCs over the Internet with a few simple clicks. Brings together your other Norton protection products in one convenient place.